About a year ago, right after I first heard about the concept of #WorkHuman and the inaugural WorkHuman conference was held, I started writing a post on the difference between happiness and engagement. As it happened, life got in the way and the post was put on the back burner, but as we’re now gearing up for the second annual WorkHuman conference, which this year I have the honor of attending, it seemed like a great time to revisit the topic. 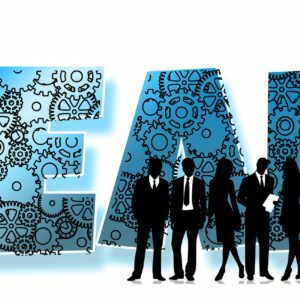 As one of the more recent overused prevalent catch phrases and trends in the Human Resources profession, discussions about “employee engagement” in the workplace have been going on now for quite some time. Just Google the word and undoubtedly you find thousands of articles, blog posts, and best practices about how to achieve and attempt to measure how engaged your employees are. Heck, even my own job title has the word in it now. The discussions and debates have been going on for so long, in fact, that some have said it’s time to move on from that topic, that there’s nothing more to say about it. I was part of a live, call-in episode of my favorite HR podcast, Steve Boese and Trish McFarlane’s HR Happy Hour a while back, in December 2014, where we addressed just this issue. Titled “Celebrating the Final Conversation on Employee Engagement?” the 200th episode of the show set out to lay to rest the employee engagement debate once and for all. But what we discovered through the various callers and discussions on the show is that the topic is far from dead. One element that did come up was the difference between happiness and engagement. Happy: delighted, pleased, or glad as over a particular thing; characterized by or indicative of pleasure, contentment, or joy. Engage: to occupy the attention or efforts of (a person or persons); to attract and hold fast. From these definitions we can infer that just because someone is engaged, it does not necessarily mean they are happy. Engagement simply means they are putting forth the effort; happiness on the other hand implies an intrinsic sense of joy or pleasure. One point that was made on that show is that we don’t need to care about whether or not employees are happy, we just want them to be engaged and productive. It’s not our jobs as employers and human resource professionals to ensure that our employees are happy; and in fact, there are too many outside factors that play into that anyway. We just need to ensure we’re providing an environment where they can be connected to their work and achieving what they need to achieve. But I ask this question: are happiness and engagement REALLY mutually exclusive? Shortly after last year’s WorkHuman conference, another episode of HR Happy Hour aired, one that was actually recorded live at the event. Steve and Trish kicked off the show touching on the idea of happiness and happy employees, and referenced something that was said at the conference: “Happier workers work harder.” And I think I tend to agree. You see, I’m not convinced that happiness and engagement are completely separate issues. Yes, it’s true that you cannot control all factors that play into someone’s happiness. You can’t control whether or not they are having marital issues or problems with their children. You can’t change the fact they may be dealing with aging or ill parents. You can’t fix depression or mental health issues. But you know what we can do? We can help to build and shape cultures where people feel recognized and appreciated. We can take the time to care about the well-being of the folks who show up and spend a large percentage of their lives with us, helping to achieve the goals we set out for our companies. We can create departments and teams where people feel included and like they belong, somewhere they can generally enjoy coming to; where they can say they love their job, even if they don’t actually like it every day. And when we do that, doesn’t that help to create employees who are, in fact, happy….even if it’s only in the workplace? Is it our responsibility to create that type of environment? No, not necessarily. We have an obligation to create workplaces where our employees have the resources they need to do their jobs. But does it behoove us to think about the benefits of a happy work place? By my own experience, I’d say it does. Just as happier people outside of work could tend to be more engaged and productive in their jobs, I also believe that a happy work environment can offset a hectic or difficult personal life. And by extension, also creating a more productive and engaged employee. We all strive to be good employers. Is it enough to create an environment of engagement? Or SHOULD we be thinking of taking that extra step and striving to create an environment of happy workers? Some may still disagree with me and say happiness is not our business. From my experience I beg to differ. What do you think? Are happiness and engagement two separate issues? 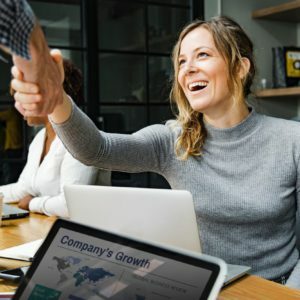 Should we be concerned about the happiness of our employees? Interested in joining in the discussion about creating great workplaces and cultures? Join us at WorkHuman 2106. Register here, and as a reader of this blog use discount code WH16JP300 for $300 off the regular registration fee.